ItemCUMB_991.052.027 - Full Front View of Sam Yick’s House in Chinatown, Cumberland B.C. Item CUMB_991.052.027 - Full Front View of Sam Yick’s House in Chinatown, Cumberland B.C. 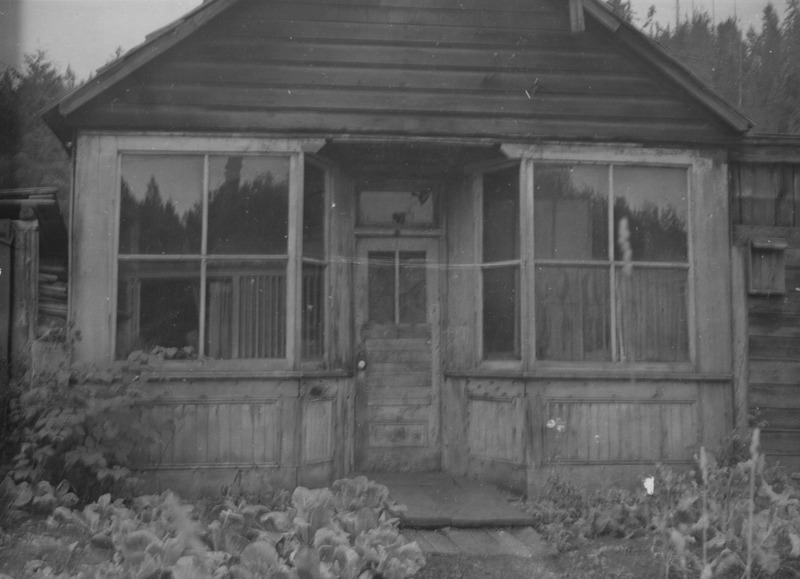 Full Front View of Sam Yick’s House in Chinatown, Cumberland B.C. A cabbage patch and a mailbox can been seen on the right side of Yick’s house in this photo. Sam Yick lived on Minto Road in the Comox Valley (Vancouver Island) for a time as well. Date: ca.early 1960's.